Jesus embraced and worked for the dignity of every person. He said quietly and simply that he was sent to proclaim God’s favor for all people and to announce good news to the poor, the prisoners, the sick and wounded and victims of war and oppression. He asked his neighbors to join him in this mission, to become active disciples, to reach out and comfort the alienated and marginalized and to empower those who have nothing. Many said yes; others were overcome by fear or greed and turned on him. We have the same choices. Our community of faith at St. Ignatius strives to say yes; this is the mission of our Social Ministries and Outreach Commission. We work to reach out to those whose needs are greatest, to work against injustice, and to support those who live with poverty, hunger, and suffering. Come work with us! We offer a variety of opportunities. Like what you've read? Call or email Sr. Diane Vallerio, 617-552-6107, vallerio@bc.edu. We'll sign you up! 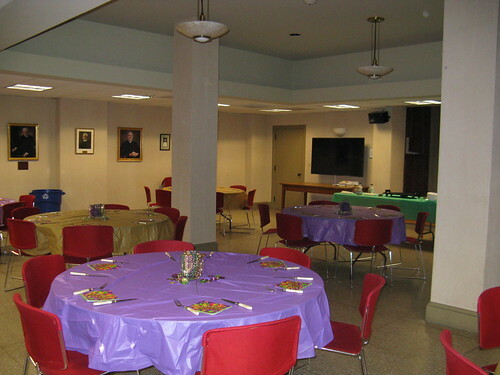 We have lots of options, whether you can commit to a one-time event or ongoing efforts. Please see the calendar of upcoming events for the Social Ministries and Outreach Commission.